The December 2018 Ipsy Add-Ons are available now! These are additional products you can add to your Glam Bag or Glam Bag Plus subscription. Add-Ons are available for 24 hours! You may choose up to 3 add-on products per month. These items will be added to your glam bag or glam bag plus shipment. And shipping is free! The Add-Ons will be a small selection of products, some of which are from that month’s Glam Bag assortment. For October, ipsy offered sample-sized products at $3 each. Future Add-Ons may also include full-size products. Which add-ons did you pick? If you are new to Ipsy, it is a $10 a month beauty and makeup subscription box. Check out all of our Ipsy reviews to see what’s been in past boxes. Ipsy Glam Bag Plus is $25 a month. Check out our full Ipsy Glam Bag Plus FAQ post to learn more! 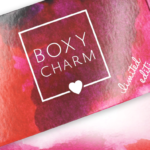 And check out our list of the 31 Beauty Boxes To Try, and all reviews of Cheap Subscription Boxes to find other subscriptions with similar price points to Ipsy! How do subscribers rate Ipsy? Do you subscribe to Ipsy? Add your rating now! It would be nice if you could have the option to use a different payment method for add ons. I use a debit card for my bag and only put enough for bills etc on it. Weird. I did my spoiler alert yesterday and never got the option to do add-ons (I did do an add-on last month.) huge bummer cause I def would have added the benefit brow gel and the it mascara!!! I wanted to add on the gimmee brow but I’m not getting the option to add on anything. This is the first time this has happened. I can usually add on without any issues. Add-ons not showing for me or my spoilers. It says they’re still personalizing my bag :/ probably going to miss the add-ons altogether. Does anyone still have the option for add-ons still? I didn’t get anything when I first saw them, but wanted to go back and look again and they were gone. I added the Ouai scrub, delectable hand cream, and Steve laurant pigment. I’m worried now though, it said on the add on page I was already getting the rose gold pigment in my bag. It didn’t mention a color variation, but now it does on the main page. Does that mean I could end up with 2 olive or will it have the gold like it said earlier? This is my first time doing add ons. I love the purple highlighter, the sweet potato pink lip, and the rose glow lip topper. I hope they are all as beautiful as they appear! Has anyone seen that rose glow lip topper? Has using the addon feature been delaying everyones bag or has that only happened for some? I’m a little hesitant to use the feature until they have all the bugs worked out. Yeah last month I bought 3 add ons and didn’t get my Glam bag until 11/27! That’s ridiculous! I’ve done it for both October and November. In October I ordered 3 add-on’s and my bag didn’t arrive until the day before Halloween and was missing 1 of the add-on’s (they sent it separately a few weeks later but I had to email them). In November I ordered 1 add-on and my bag arrived at the normal time (the 11th, I think) and it contained my add-on. I think it has a lot to do with what warehouse your item is coming from. Any maybe how many you add? I’m not really sure but I was willing to try it again this month because I’ve been wanting to try the Dr. Lipp tinted. I added 3 last month and my bag still arrived in a timely matter. By the 16th I believe. I can’t see my Spoiler Alert, and I can’t access add-ons. Help!!!!! I got my spoiler alert but I am not seeing add ons anywhere!!! Did you find them?? Same for me. I can’t find the add ons anywhere. I added on the 111skin, even though I’m getting it in my plus bag. I couldn’t pass up getting a second for such a cheap price! If that 111skin is a variant for the Ipsy Plus, but then was an available add on… I didnt want to pay $12 for something I may already be getting, but my reveals were only up for me regular Ipsy and not the Plus. It’s crummy when your reveals are late so you can’t do add ons. I got the glitter flip lipstick, first aide beauty pads, and ouai scalp scrub! I wanted that scalp and body scrub, but add-ons delayed my shipment so much for November. I’ll wait until they figure out a better system for the add-ons. I just got my November Glam Bag Plus yesterday. That’s insane. yeah, its delayed mine too. got my bag a few days ago. But I feel like the add ons are such a good deal I did it again anyways. I like actually getting to pick the items from the regular ipsy bag. This is my 2nd month in a row where I am not able to use the add on feature. Everytime I go to complete my add on order I get an error message saying there was trouble charging my card. I have had the same card for years now with Ipsy and NEVER had a problem with a payment. My Ipsy payment just posted last night in fact. So confused on why I can’t use the add on feature. Try PayPal? That works for me with no issue. I just tried to update my payment using pay pal & I see no option for pay pal as a payment option. I see visa, Mastercard, Discover or American express…. Did they run out of the 111skin add on already? Yes, it said sold out on mine. Oh thank God I got it before it sold out! It is $180! "I wonder what Allure is going to bring to the table for July??? Noxema, Sea Breeze, maybe even some Ponds cold c..."
"👌 That’s what I’m going to do too."